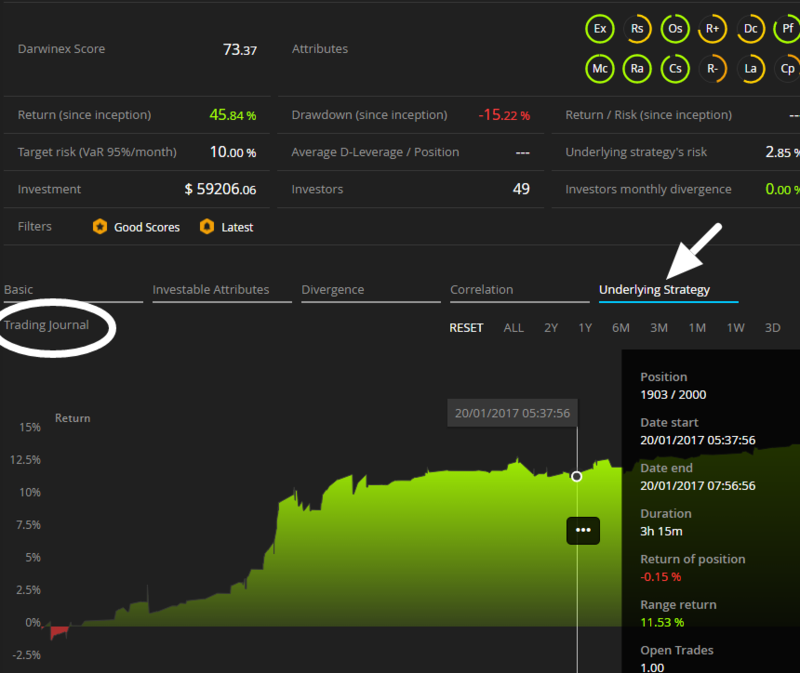 The Trading Journal can be found on the DARWINs' page, under the 'Underlying strategy' tab. The table on the right hand side of the chart provides additional information on the position at which the mouse is pointing (this is highlighted by vertical tracking lines), and the trades involved in each position are shown in the timeline at the bottom of the chart. 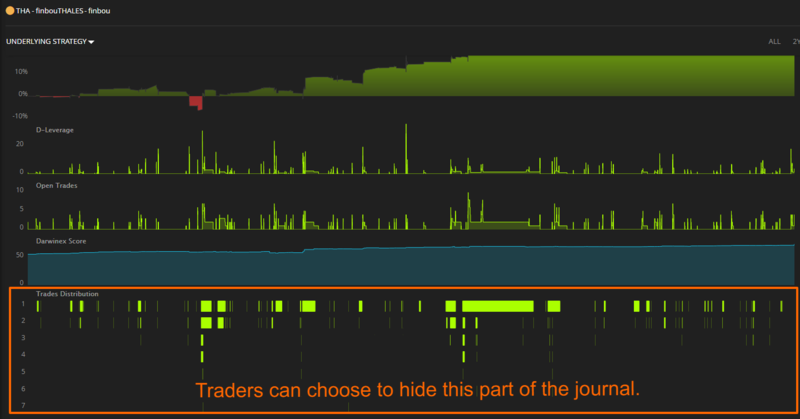 When Trade distribution is not visible below the rest of the graphs of the trading journal, then the trader has opted for not disclosing this information.